How often you get the errorÂ that you require administrator privileges to change certain files or even access it? The reason, there are certain system files on your system which require adminstrator privileges to modify them so that they are not being tampered by some malware, viruses, trojans etc. But there are situations when you need to edit them. For me, most often I need to edit hosts file whenever I am testing something on some of my new domains which require sometime for DNS Propagation. I use hosts file to restrict the domain to my webhost server IP till the DNS propagation. Today we will talk about two methods in which we can edit those system files. 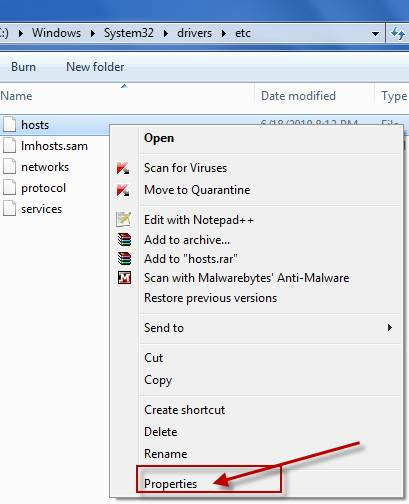 After opening it inside notepad, you can modify the file without any problems. Just navigate to the system file you want to edit and right click on it. Click on properties. You need to provide full system control to the user. Just browse to Properties >> security. Click on edit properties. Now in next window, click on user name and then selectÂ all the options associated with it and apply. See the below screen shot for more clearer picture of what I am saying. 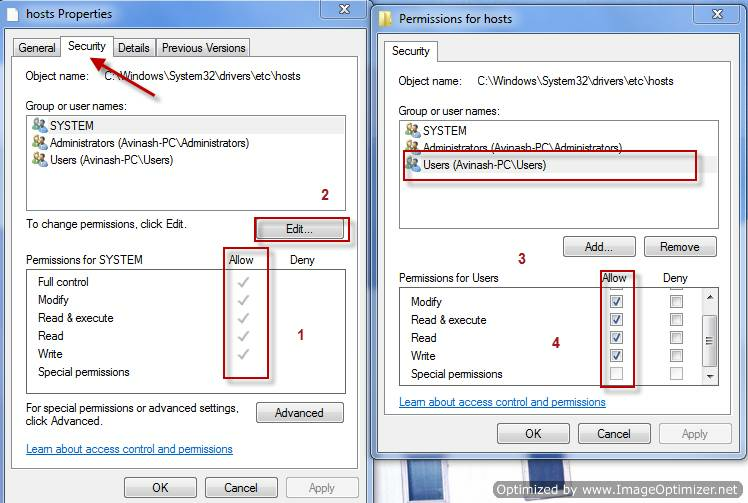 Just keep in mind you should remove these permissions when you are done with your work if you want these files to be safe from malware, virus etc.